Blue System was a German pop group that was founded by Dieter Bohlen (Modern Talking) in 1987. 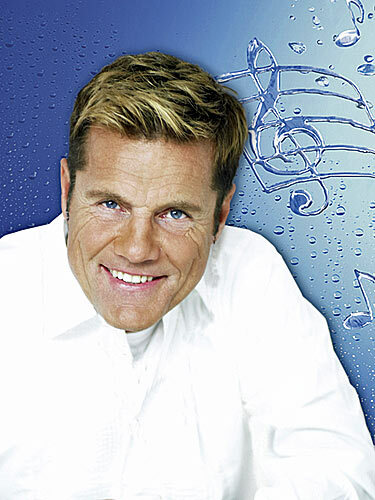 Dieter was the son of Edith and Hans Bohlen. He has a sibling, a younger brother named Uwe. He was educated in Oldenberg, Gottingen and Hamburg, culminating in an Economics degree. Bohlen was married to Erika Sauerland from 1983 to 1994 and has four children from this marriage, Marc, Marvin Benjamin and Marielin. Even before he was legally divorced, he lived with - but never married - his new girlfriend Nadja Abd el Farrag, nicknamed Naddel, a pharmaceutical laboratory assistant; she was a background dancer for Blue System at that time. In 1996, he married model and singer Verona Feldbusch but divorced her after thirty days, propelling Verona to celebrity status (she went on to host television shows such as Peep and Veronas Welt). After breaking up with Verona, he eventually returned to Naddel, but the two split up again in 2000. Bohlen and Naddel both confirmed that Bohlen suffered a penile fracture at one of their encounters. Later, Bohlen lived with the 1979 born model Stefanie Kuster until 2006. They have one son, Maurice, born mid-2005. He met his current girlfriend Carina in Majorca, Spain, where one of the casting events for Deutschland sucht den Superstar (the German version of Pop Idol) was held. Amelie, was born in 2011, their first child together and Bohlen's sixth child. Bohlen lives in the village of Totensen near Hamburg.